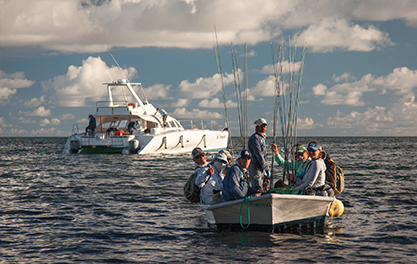 Astove Atoll Fishing News - 50kg+ Dogtooth Tuna! 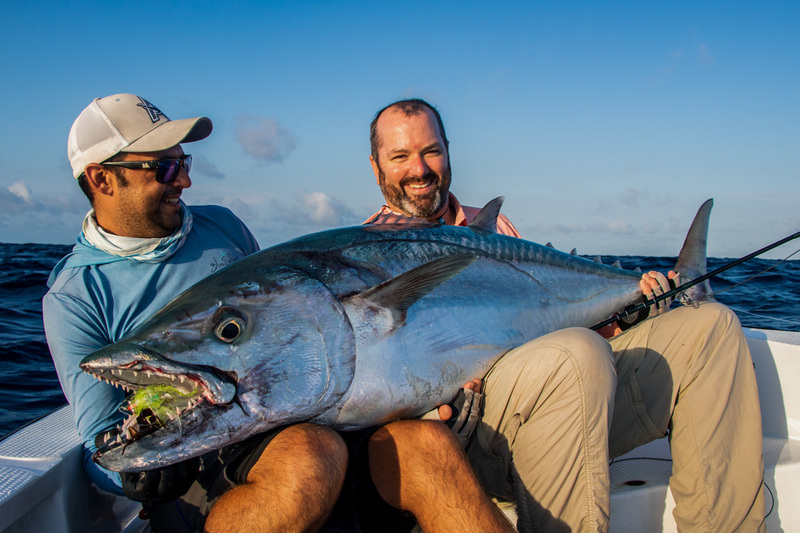 Astove Atoll Fishing News – 50 kg + Dogtooth Tuna! Weather conditions from the previous week continued with a steady south easterly wind of roughly 15 to 20 knots. 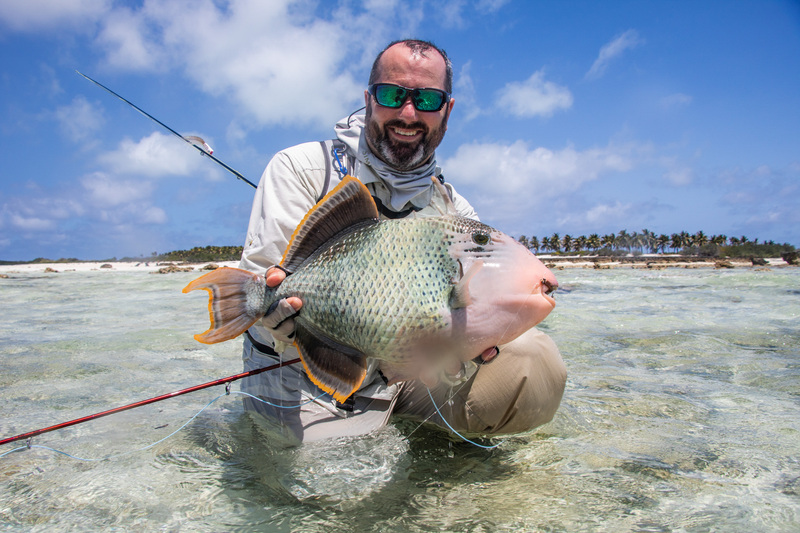 Neap tides early in the week shifted to full moon springs towards the end which meant guests could enjoy larger water movements and the opportunity to fish the lagoon. 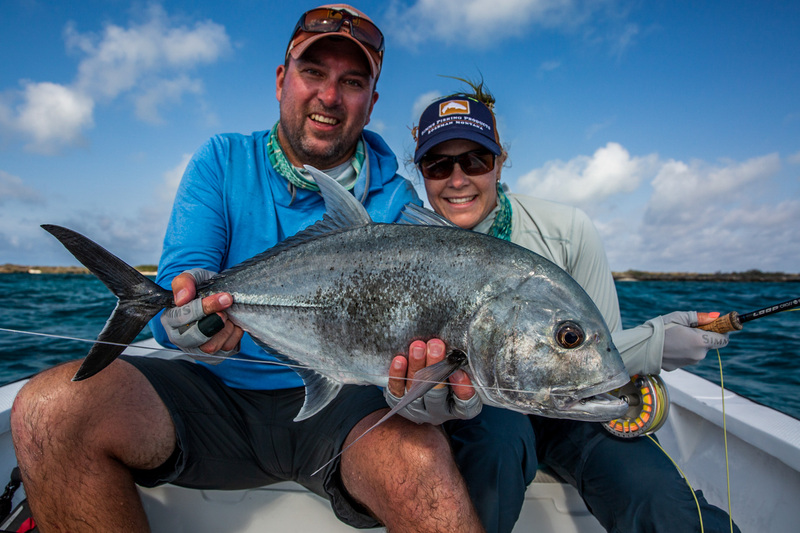 Graham and Tarynne Tait travelled from South Africa to make the most of both the flats and off shore fishing. Graham bending into his first moustache trigger on the first morning and a further trigger followed later in the week. It was the outside that provided much of Graham’s fruits with two GT’s bordering 80 cm. 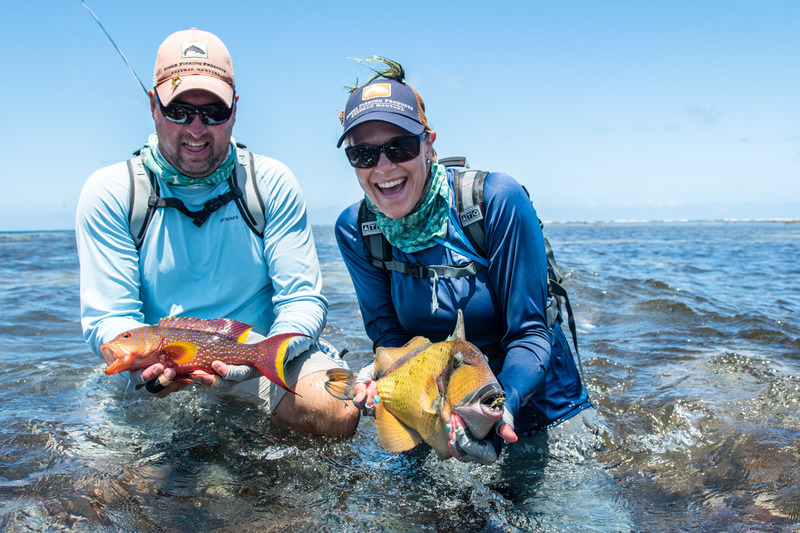 Tarynne, Graham’s partner also came to the trigger party, banking two moustache triggerfish throughout the week. While Graham was bending into GT’s, Tarynne was getting smoked! Twice, the creatures that lurk below peeled line uncontrollably from the reel as they tore towards the reef. 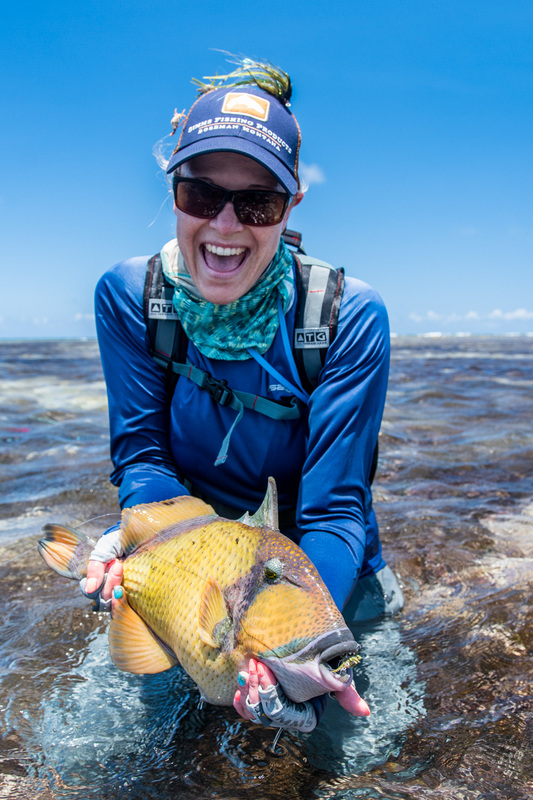 Once Tarynne was able to wrap the line and hold on, a 12kg bohar snapper was photographed and released. 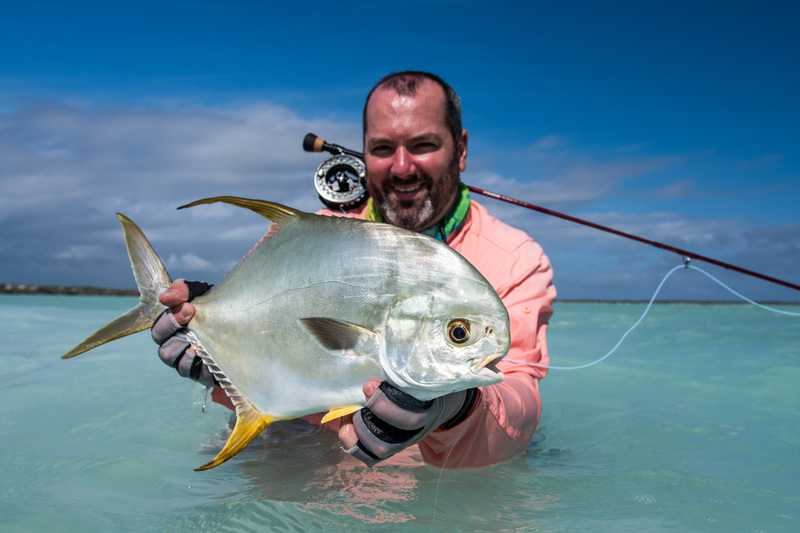 Barry De Lacy came to Astove Atoll with one goal in mind, to land his first permit, a feat that he had been trying to achieve since he started saltwater flyfishing many years ago. On his path to achieve this major goal he picked up a big moustache trigger, a handful of large bones and numerous other big and brightly coloured species. 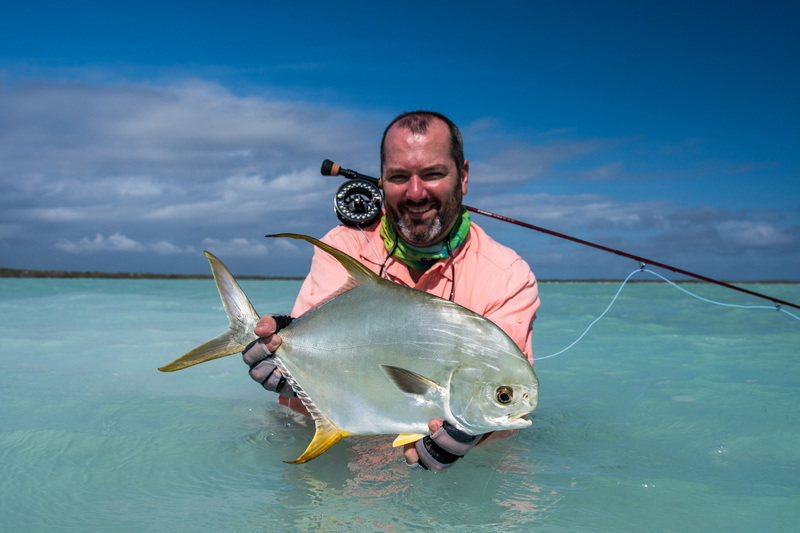 Barry’s second-from-last day was spent polling the lagoon with Kyle and after several near misses the many years of frustration came to an end as he held a 63 cm permit in his hands. A 65 cm GT followed giving him the added bonus of a flats slam for the day. Now relaxed as the pressure was off he spent the dying few hours of the week fishing on the outside, rounding off his achievements and fishing for the week he bent in to a 75cm GT and huge 80 cm bluefin. 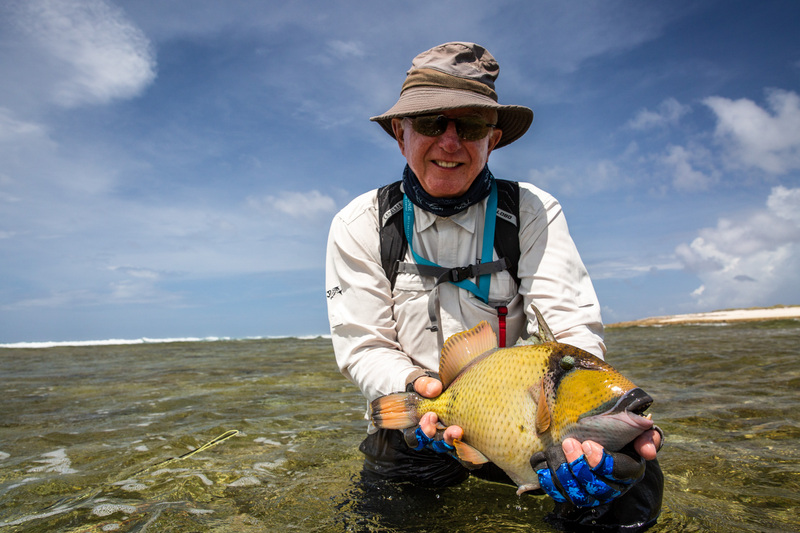 Barry’s boat partner for the week Neil Harris also took the opportunity to fish the lagoon and like Barry, also proved to be successful landing his first permit. Not to be outdone Neil went on to land two more triggers, a moustache and then a huge yellowmargin of 53 cm at Paulies. While Neil had some great catches throughout the week a highlight was the huge dogtooth tuna he pulled from the deep, at over 50 kg it was one of the biggest doggies we have seen here on fly. 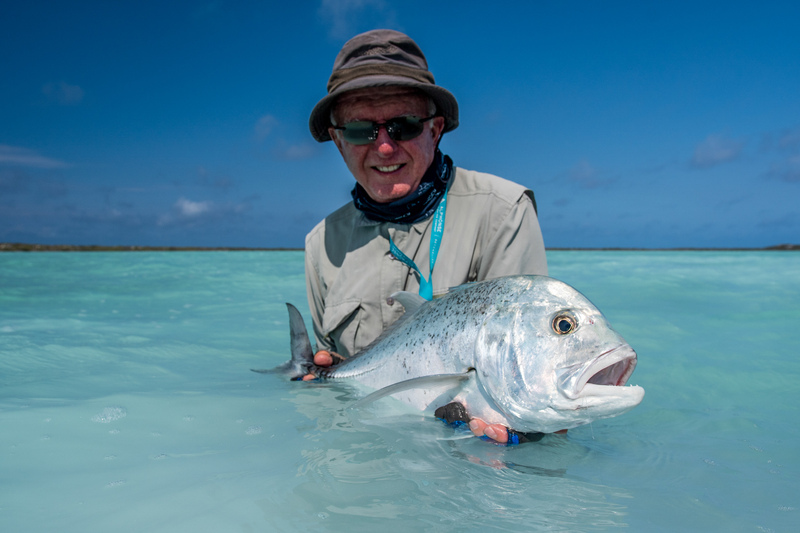 While the GT fishing this week was not easy some great and memorable fish of other species were caught in good numbers. 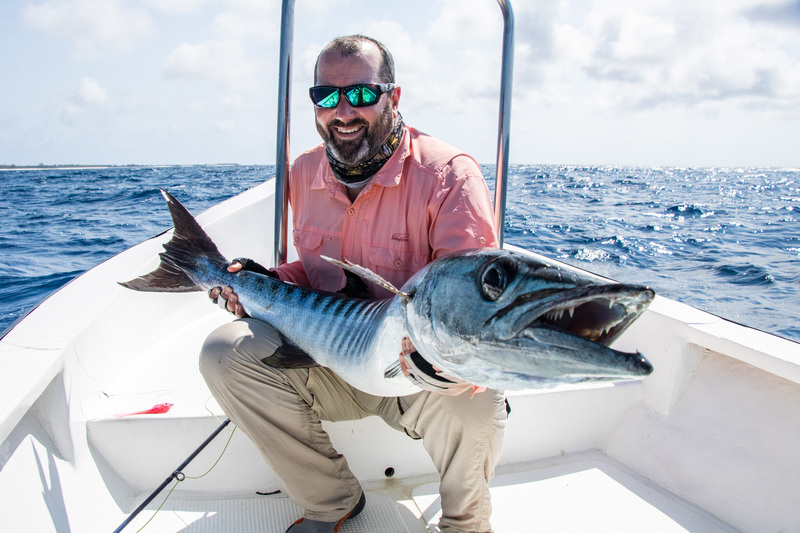 A SUMMARY OF THE WEEKS CATCHES FROM OUR 4 LUCKY ANGLERS!